I grew up with dogs around me and showed my first dog, our family pet, as a teenager when I was in 4H. 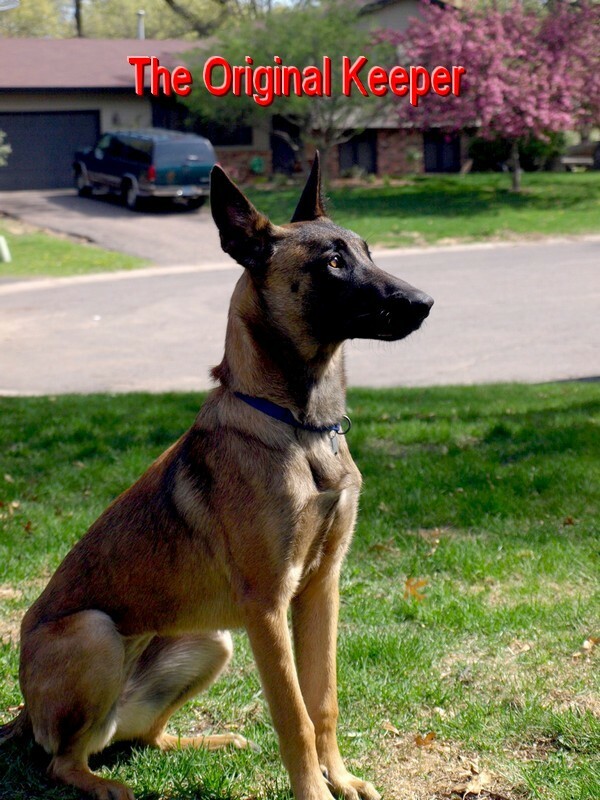 Things really started to happen when I got my first Belgian malinois. She came to us as a 9 month old puppy through the malinois breed rescue. We were her third home and were determined that she was going to stay with us so we named her "I'm a Keeper", 'Keeper' for short. Keeper is who I made my first collars for. Being a rescue dog, she came to us with some "issues" that we had to deal with. One of those was that she didn't ever want anything passed over her head so all collars had to be buckle-type. I had an issue too. I needed the control that a prong collar offered but I found that having to squeeze the prongs to put the collar on and off was very difficult for me. So, I came up with my first collar that secured the prongs inside of a nylon web and used a quick connecting buckle for putting the collar off and on. I had many inquiries about the collars that Keeper wore from people that I met at the training center and when out in public. People started to ask me to make collars for their dogs too so Keeper Collars™ was born, taking it's name from my beloved Keeper. As time has gone on, we've come up with more improvements and designs for complimentary products. We're always looking for better ways to do things with our dogs!